Why Choose ALASKA’S MOST REMOTE LODGE IN ANVIK? Because we take care of everything for you. We know your life is busy and when you decide to go on vacation, especially a remote adventure like this, we want it to be as stress free as possible. Our trip packages are all-inclusive from Anchorage. There are no hidden charges or nickel & diming you along the way. All you need to do is get yourself to Anchorage in time to catch our privately chartered flight to Anvik and we take care of everything from that point on. This is your vacation, we want you to enjoy every minute of it – you deserve it! There’s no “combat fishing” here on the Anvik. Upon your arrival you’ll discover that it’s like having your own private fishing reserve at this truly remote yet extremely comfortable lodge. Located about 450 miles Northwest of Anchorage we really are the only lodge on the entire Anvik River. Our nearest neighbor is about 75 miles downstream in the Athabascan village of Anvik. It’s just us and the wildlife on this 120+ mile river. 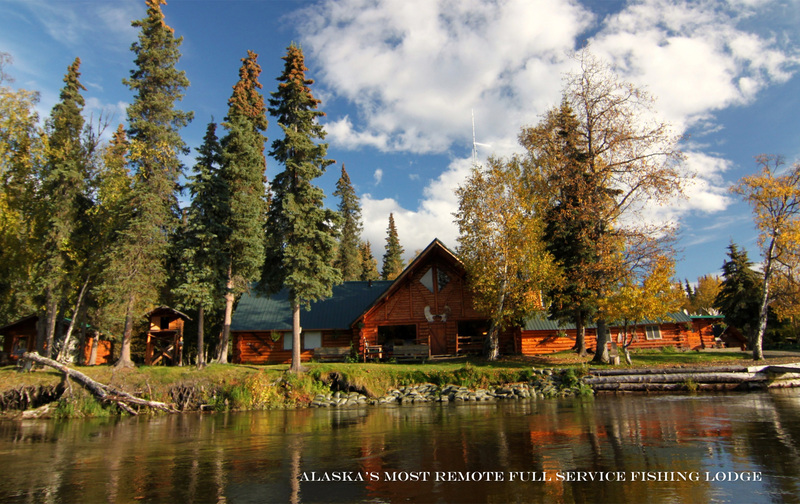 The Hickson family & staff invite you to become part of nature at Alaska’s Anvik River Lodge. COME AS GUESTS…LEAVE AS FAMILY! "I caught pike, grayling, char and silver salmon during my visit but saw no other anglers or boats. I did however see four wolves out in the open and at close range." - Tony Route, author of "Flies for Alaska" and "Flyfishing Alaska"